Showing the ways Advent can become a time of transformation, this guide helps you consider your own faith this Christmas. Looking for a meaningful journey through Christmas? Footsteps to Bethlehem is a series of 49 daily reflections for Advent, inviting you to journey towards Christmas on a pilgrimage of transformation. Each day looks at the life of individual Bible characters, such as Mary and Joseph, Zechariah and Elizabeth, and reflects on how they coped with the major events of their lives. How did they respond when faced with the choice either to walk by faith, ever closer to God's light or to retreat from his light and love. That day's reflection begins with comment on the chosen reading, followed by an invitation to consider two or three questions prayerfully and examine your own experiences of the Christian walk. A short prayer rounds off each reflection. Footsteps to Bethlehem - Kevin Mayhew Advent Guide 2018 by Bill Merrington was published by Kevin Mayhew in August 2018 and is our 14959th best seller. The ISBN for Footsteps to Bethlehem - Kevin Mayhew Advent Guide 2018 is 9781848679610. Got a question? No problem! 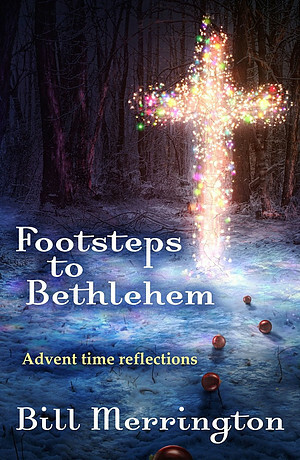 Just click here to ask us about Footsteps to Bethlehem - Kevin Mayhew Advent Guide 2018.